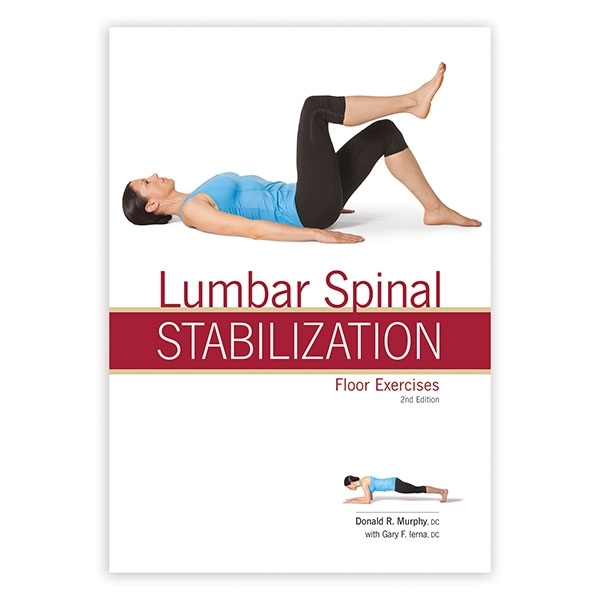 With nearly 30 patient exercises for lumbar stabilization, this booklet is ideal for home exercise programs. Exercises are supported by step-by-step instructions and images and divided into Supine, Bridge, Quadruped, and Lunge/Squat tracks. Second edition is completely revised and updated with new exercises and full-color images. Written by Donald Murphy, DC, and Gary Ierna, DC. Illustrated. Softcover; 20 pages. 2nd ed. Great resource for chronic SI instability! Great resource for chronic SI instability, as well as using the SI-LOC belt! My patients use these as part of their exercise care plan. I love the reference and the easy to follow instructions for each exercise. More importantly, my patients find the exercises beneficial. Even Better than before ! Great redo of previous version. Color pics, well laid out, easy to give copy to clients to use for homework. I agree with the modest changes in programming as well!